Look out Alexa, there's a new sheriff in town. The Lenovo Smart Display gives Google Assistant a face and, well, it’s kind of beautiful. As promised at CES and then again at Google I/O, Lenovo is finally rolling out the first Google Assistant device with a display, delivering a fresh new spin on the smart home speaker. While Amazon has been selling its Echo Show for more than a year (and the smaller Echo Spot for about half as long), Google has taken its time with building its visual Assistant. We’ve seen glimpses of it on our phones, cars, and TVs (using Chromecast for the last), but Google Assistant on the Lenovo Smart Display isn’t just a cobbling together of Assistant’s existing screen appearances. It’s an entirely new interface that adds a deep new dimension to Assistant, at once showing the limitation of voice and opening up Google’s AI to far more possibilities. 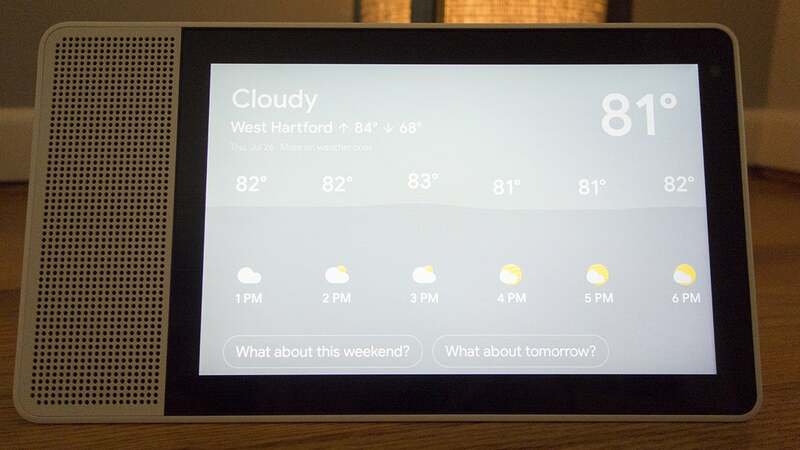 Due to a shipping snafu, I’ve only spent a few hours with the Lenovo Smart Display, but I’m comfortable in saying it’s my favorite assistant device, Google or otherwise. Like the Echo Show, it might be too big for some spaces, and it’ll certainly take some creative finagling to hide its power cord, but Lenovo has built a rare first-generation product that might actually be better than its No. 1 competitor right out of the gate. 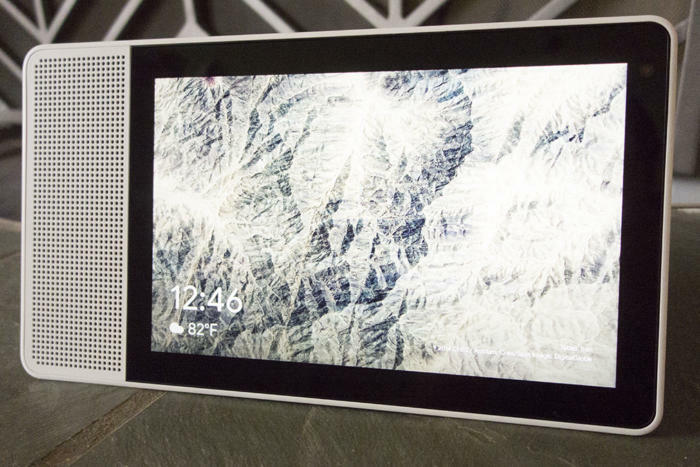 The first thing you’ll notice about the Lenovo Smart Display is its funky design. While it looks fairly pedestrian from the front, with a visible speaker grille alongside the display, the backside of the device is far more interesting. It’s a bit like a geometric sculpture and unlike anything I’ve seen before in a smart speaker. It’s equal parts functional and far-out, allowing the Smart Display to sit at an appropriate viewing angle without tumbling over, but also adding a cool, slimming aesthetic that I can’t help but wish extended to the front. The back of the Smart Display is almost cooler than the front. The Smart Display comes in two sizes, 8 inches and 10 inches, both of which are bigger than the 7-inch Echo Show. But even with a larger screen, the Smart Display looks much more elegant than the somewhat clunky Echo Show. That’s mainly due to its orientation. 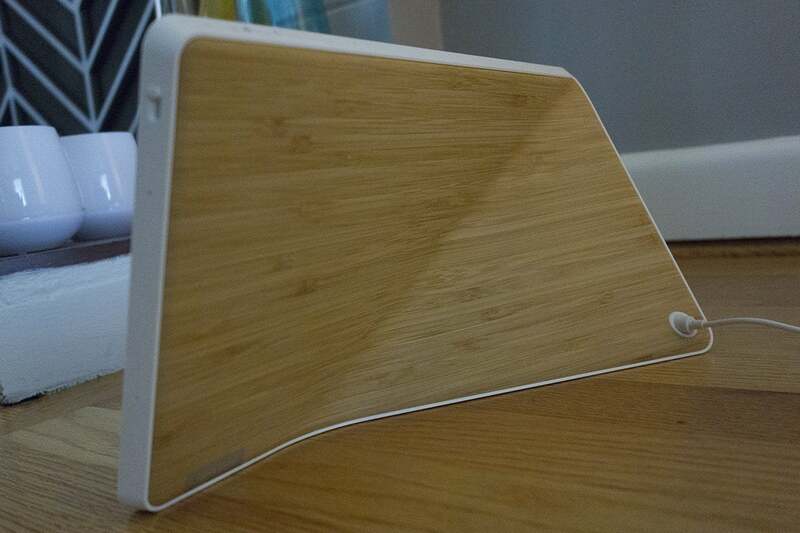 Where Amazon built its speaker with the grille below the screen, Lenovo’s has a natural horizontal aesthetic. While the stand can technically be positioned in either portrait or landscape orientation, without an accelerometer, the screen doesn’t rotate when turned, so you’ll be keeping it on its side, where it feels most compact. The 8-inch display is HD quality (1280 x 800) while the 10-inch model is Full HD (1920 x 1200), so visible pixels could be an issue with the smaller device. I only tested the 10-inch Smart Display, and its 1920 x 1200 resolution might be reason enough to spring for the larger model (which costs $50 more). While your interactions with the screen will likely to be less than a minute at a time, you can use also the display as a smart picture frame while it’s not otherwise in use, showing a rotating set of your Google Photos pictures or curated artwork. It looks great and you’ll no doubt be looking at those extra pixels more often than you may think. The Smart Display has a funky design that give it a playful appearance from every angle. Elsewhere, the Smart Display has the appropriate privacy options, with a camera shut-off switch and a mute button for its 2 x 2 dual array microphones. The 8-inch model has a 10-watt amplifier powering a 1.74-inch full-range driver, and the 10-inch model uses the same amp to drive 2.0-inch full-range driver. Each speaker also has what Lenovo describes as a pair of “passive tweeters.” The speaker sounds surprisingly robust and moderately bassy, though the Smart Display is no match for the Google Home Max or even a Google Home paired with a good outboard speaker. And the microphones were mostly able to pick up my commands from across the room even with the music at full blast (though admittedly I had to speak quite a bit louder than I normally would). In normal situations, the Smart Display understood my "Hey Google" prompt as well as my Home. The screen on the Smart Display doesn’t just look great, it also makes Google Assistant far more useful. While most of the things it can do—fetch answers, check the weather, set alarms, play music, and so on—overlap with Google’s audio-only smart speakers, the visual element truly changes the way you use it and underscores how useful Google Assistant has become. 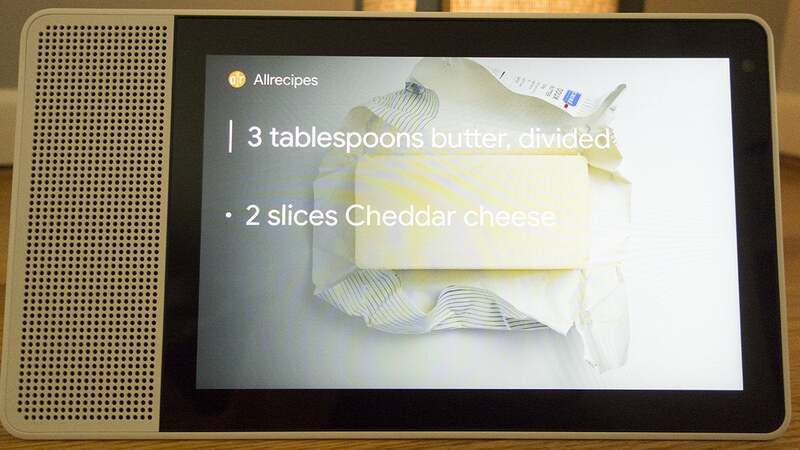 With Google Assistant and the Lenovo Smart Display, you’ll never need to consult a cookbook again. For example, ask it to get a recipe and you’ll be able to see various options, scroll through to find one that looks best, and see step-by-step instructions as you cook. 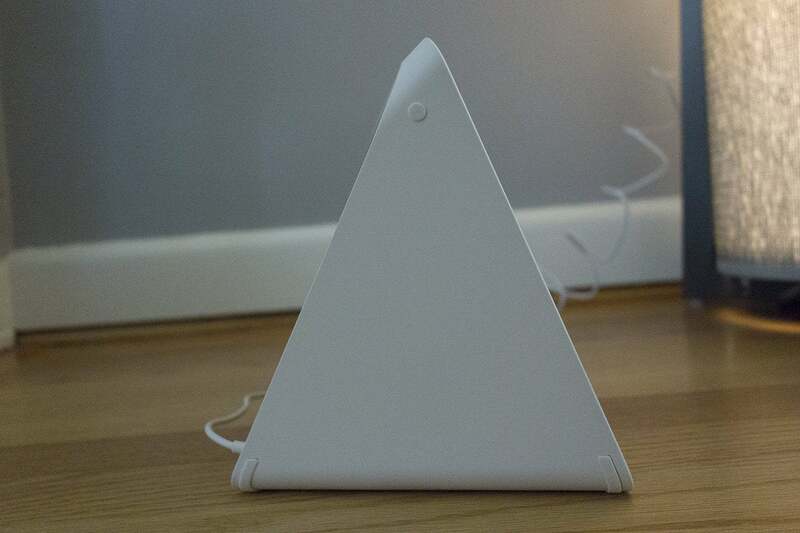 Or when you check on one of your smart lights, you’ll be able to see how bright it as and adjust the intensity and color by touching the screen rather than guessing at a percentage. The biggest benefit for most users will likely be YouTube videos—especially with the Echo Show’s on-again-off-again relationship with the service (it’s currently off again)—but the whole Assistant experience is greatly improved. There are things it can do here that simply can’t be done on other devices, such as making calls using Google Duo. But even for the common things I’ve already been using Google Assistant for, the Smart Display offers a greatly enhanced—and frankly more pleasurable—experience. Google Assistant doesn’t just answer your questions on the Smart Display—it helps you discover more information on the topic. With the visual element, Assistant doesn’t need to speak so much to give you a full set of information. 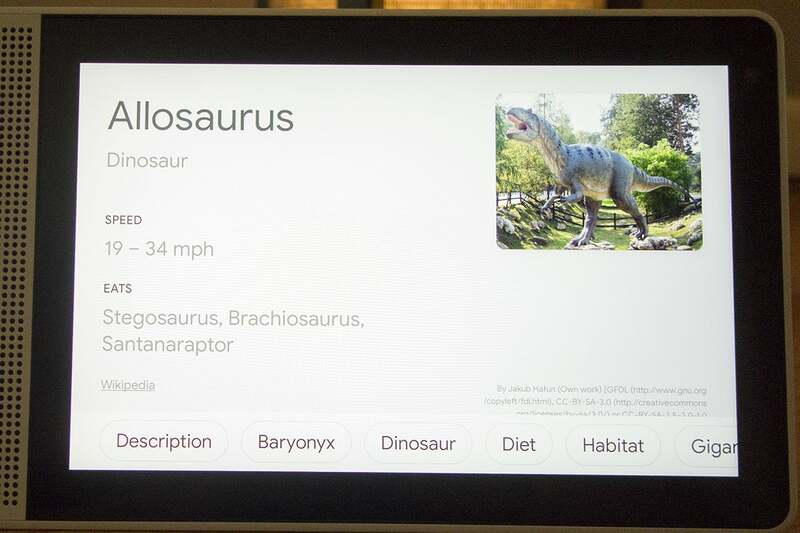 Ask what an allosaurus is, for example,, and it’ll speak a quick definition aloud, letting the screen offer up the bulk of the information. You can see a picture and some extra facts, along with a series of related terms for deeper exploring. I could see my 6-year-old son using it for hours to learn about space or dinosaurs, without fear of veering off course into a less-educational topic. As good as Assistant on the Lenovo Smart Display is, however, it also highlights its shortcomings. Like Google Assistant in other places, you'll need to know exactly what you want to watch or listen to before searching, but the lack of a music or YouTube app to browse is more noticeable here. These aren’t Google Assistant-only limitations, of course, but they’re accentuated on the screen, where we’ve been trained to tap and swipe to find what we want. Even something mundane as asking about the weather is better on the Lenovo Smart Display. That being said, I don’t think Google needs to build apps for what will soon be a whole line of smart displays from LG, JBL, and others. Rather, the results simply need to be more robust. As it stands, the UI is extremely intuitive and elegant, and too many apps and taps would surely muddy up the experience. Still, there is room for improvement: Once the Smart Display knows I’m searching for a video, I’d prefer that it offered a set of YouTube results, not unlike the ones it returns when I ask a question, complete with buttons for related content to help me discover new videos. As it stands, it only serves up a couple dozen videos, with no option to dig deeper. Case in point: I'm not interested in a full Chrome browser on the Smart Display, since Assistant is great at predicting where I would go next after asking a question. But that’s something that can be tweaked down the road. Google’s first crack at an Assistant UI is admirable and elegant, and it sets a new standard for how an AI assistant should operate on a screen. It feels like a complete thought, and the first Google Assistant device that isn’t merely an extension of the smartphone. Should you buy a Lenovo Smart Display? If you want a smart speaker with a screen, the decision is a whole lot tougher than it was yesterday. Unless you’re fiercely loyal to Amazon’s Alexa ecosystem, in which case you’ve stopped reading this review long ago, the Lenovo Smart Display has a better screen, more attractive design, a louder speaker, and a richer user interface than the Echo Show. It’s also cheaper: $200 for the 8-inch model and $250 for the 10-inch one, versus $230 for the 7-inch Echo Show. 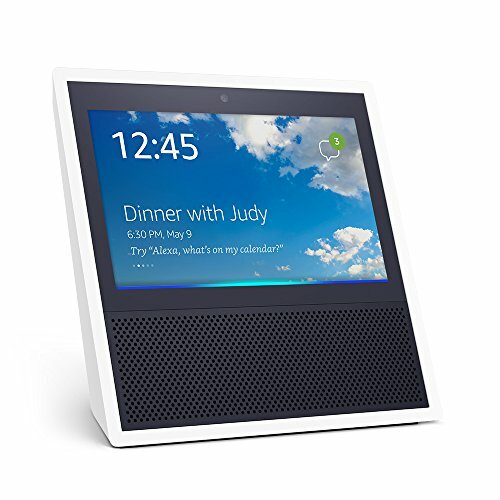 The Amazon Echo Show doesn’t just have a competitor. There’s a new leader in smart displays, and for the first time, the AI behind it isn’t Alexa. The Lenovo Smart Display is more than a smart speaker with a screen—it's a whole new way to use Google Assistant.